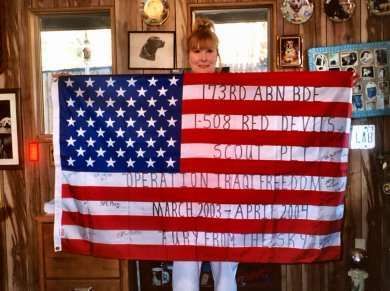 Sheryl, one of the first Any Soldier Inc. supporters, with the flag sent to her by the soldiers of the 1-508th Red Devils, 173rd Airborne for her support. Sheryl picked up a flyer (a print-out of the web page) we left at a local restaurant, Ledo's Pizza, in Maryland. She got so excited about the program she ran out and immediately put together and sent 17 boxes! She had completely forgotten about her food at the restaurant! Brian and the guys were so impressed with her kindness that they got this American flag which they signed and sent to her. Congressman C.A. 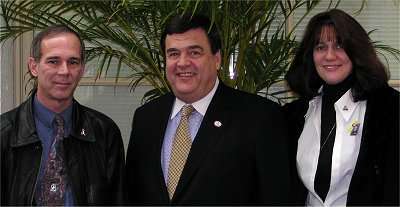 Dutch Ruppersberger (MD)(center) met with my wife, Sue, and I in the Capitol Building on Tuesday, 9 December 2003 to discuss issues concerning supporting the soldiers, and how to improve the effectiveness of the Any Soldier Inc. effort. His letter to Any Soldier Inc. here. 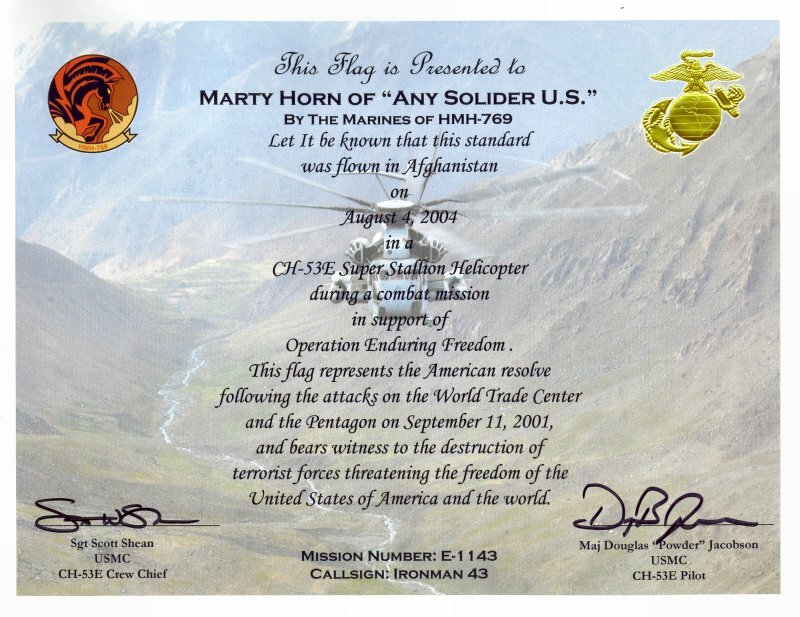 Congressman Ruppersberger is the originator of Operation Hero Miles. The Calvert School of Dance, Huntingtown, MD, Senior Showtroop and their Director, Priscilla Mooradian, decided it was time to give something back! They decided it what a great idea it would be to donate various items to our soldiers who are serving in Iraq and Afghanistan in order to show their support. 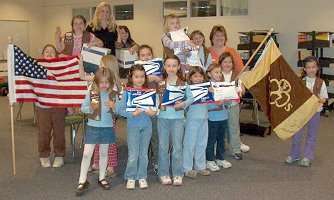 With the help of their Showtroop Mom, Tia Gilbert, and through the "AnySoldier" Program, the girls got together and contributed many items such as powdered drinks, "junk" food, various toiletries and other miscellaneous items which will be mailed to several different military troops for equitable distribution. Everyone was so thrilled and excited to participate. It has been a very fulfilling and rewarding experience for all involved. "A super big THANK YOU from Troop 3048!! Thank you for creating such a wonderful program and website to enable us to help show our love and support. We plan to ship our packages out 3 a day as suggested by the site." A benefit show for Any Soldier Inc. was held November 3rd, 2004 at the Stress Factory Comedy Club. Hosted by and Starring: Nancy Ryan, Eric McMahon, Jim Norton, and Rich Vos. 20 November: The 'Red Hat Ladies' just sent out a compliment of boxes to some of the AnySoldier.com soldiers. 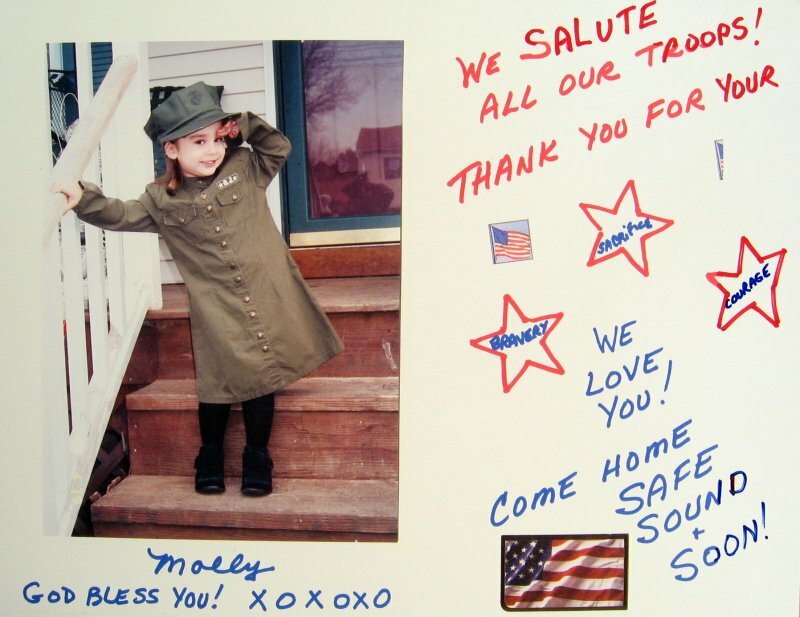 Included in the package is a little message from Molly, the grand-daughter of one of the ladies. Raising funds with lots of FUN! 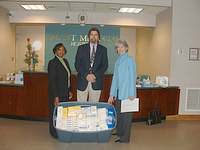 Jesse Brown VA Medical Center in Chicago staged a volunteer grass-roots effort on September 17th to provide letters of support, care packages and a monetary donation to Any Soldier. 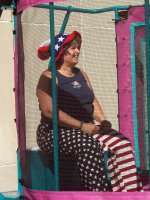 After gathering over 200 letters and about 500 pounds of goodies, the effort broadened to a fund raiser through a raffle and a "management" DUNK TANK. 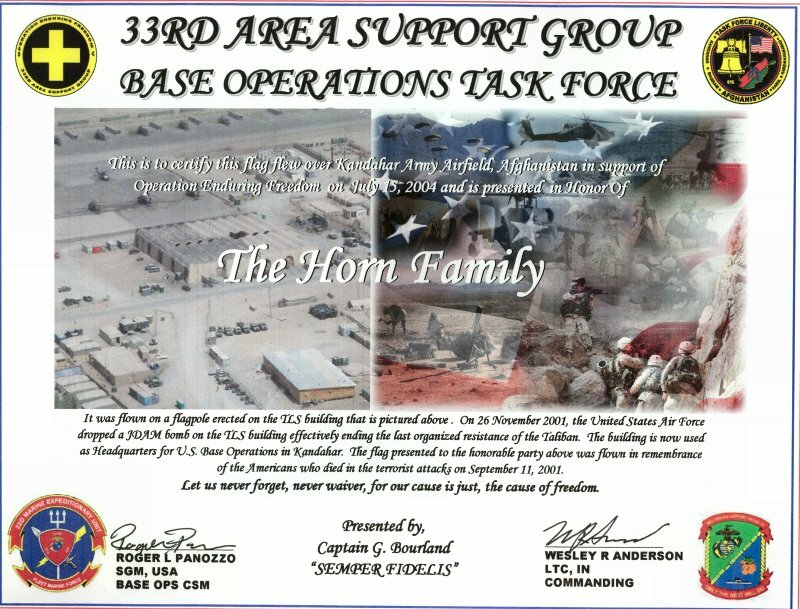 We raised $2600 for the cause and are encouraging other VA volunteer groups to support our troops! Astaris, LLC of St. Louis, MO held a soldier care package drive in August and has sent over 50 packages to the troops by using soldier contacts on this site. 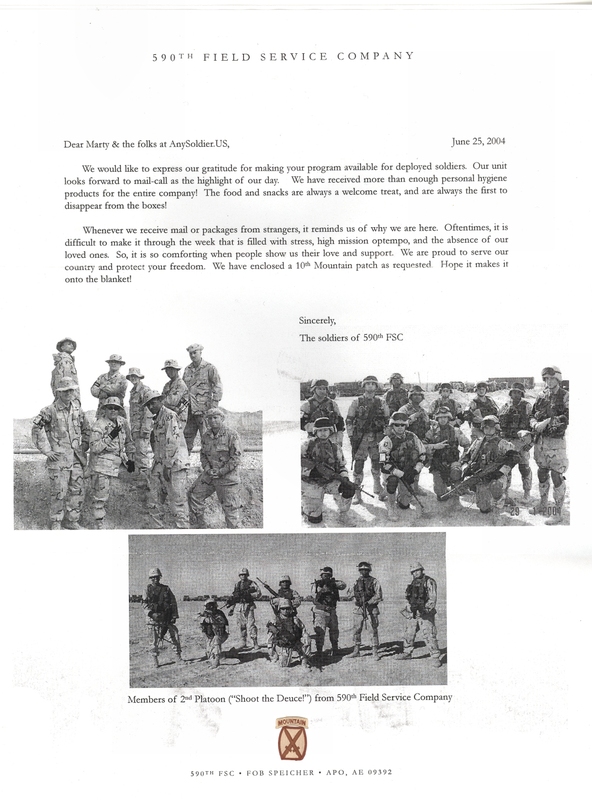 In each package they enclosed a picture and a letter thanking them for their service. They are delighted to have heard back from many of the soldier recipients; their gratitude is amazing and heart warming. Bubba Bear supports Any Soldier Inc.! 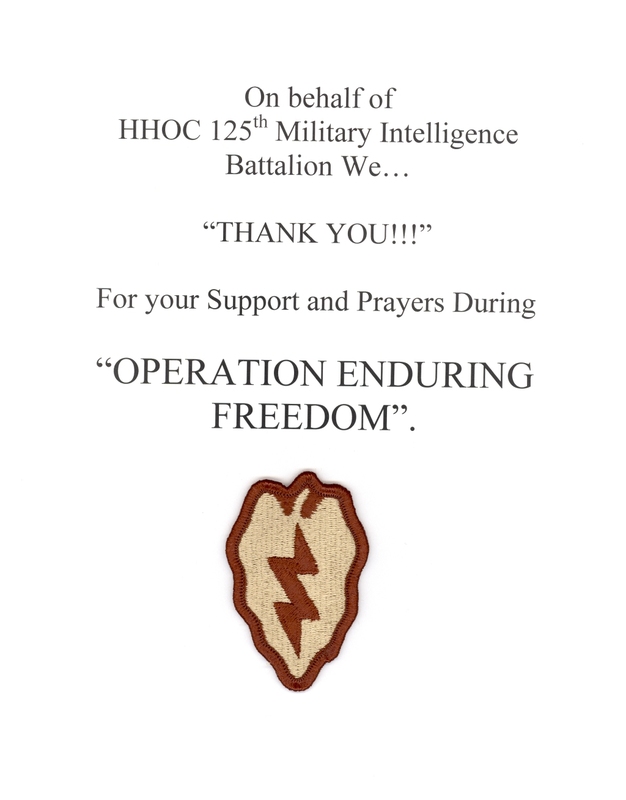 Click Here To Help Bubba Bear Support Our Troops With Operation "ATTN; Any Soldier" And To View Our Soldier Page! 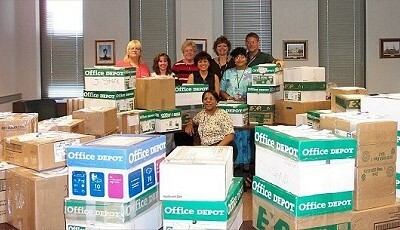 Raytheon Solipsys sends 77 boxes! 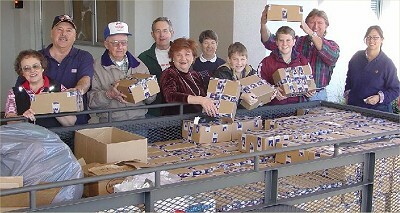 The City of Gulf Shores, AL, coordinates sending 412 boxes! Read this 27 January 2004 column by Doug Lang of Florida Today. Graceville Health Center in Graceville, MN does a Beanie Baby Drive! June 2004. Sacramento City College does a Bath in a Bag Drive! June 2004. Hamilton Elementary School does a Beanies for the Kids Project! June 2004. Lyn Taylor gets custom shirts for the Beast Battery! June 2004. 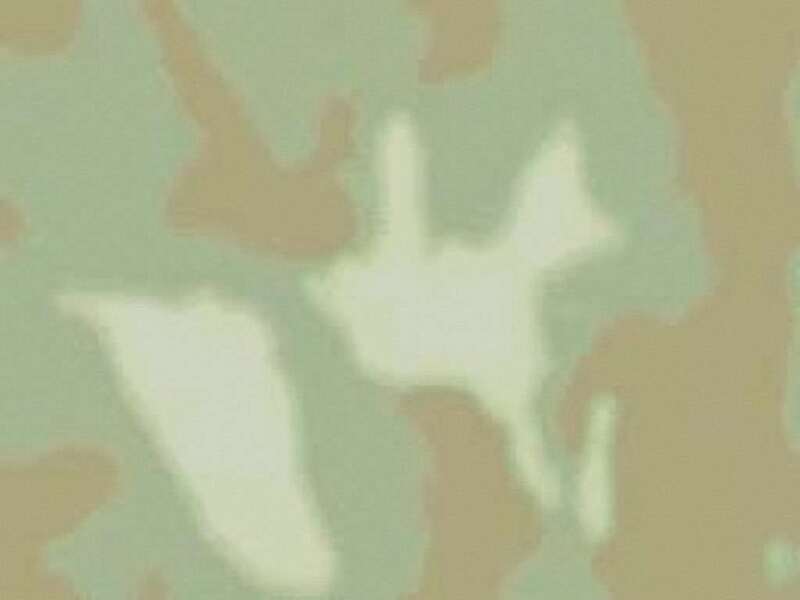 8 December: Australian Broadcasting Corporation, ABC, does coverage of TreatAnySoldier.com! "Portable wash-machine of only 2,5 kg weight, uniform-coloured toilet-case with personal hygienic stocks, special knee pads, vacuum-packed steak – few examples for patriotic Americans how to surprise soldiers in Iraq and Afghanistan. 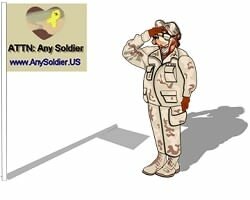 The offer is originated from the web site of AnySoldier.com, in this way the sender can support any of the soldiers on the distant front lines. The idea of movement "Help the unknown soldier!" 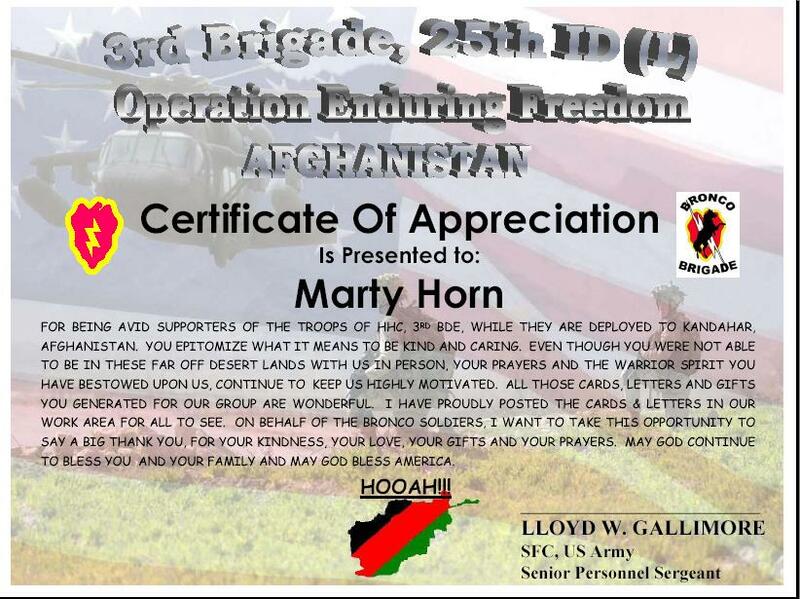 came from Marty Horn, a retired sergeant. The soldier's family living in La Plata, Maryland wished originally to give help for their son, Sergeant Brian Horn serving in the 173th Aiorborne Brigade. He begun to hand out "care packages" to those fellow soldiers who never or rarely received mails from home. 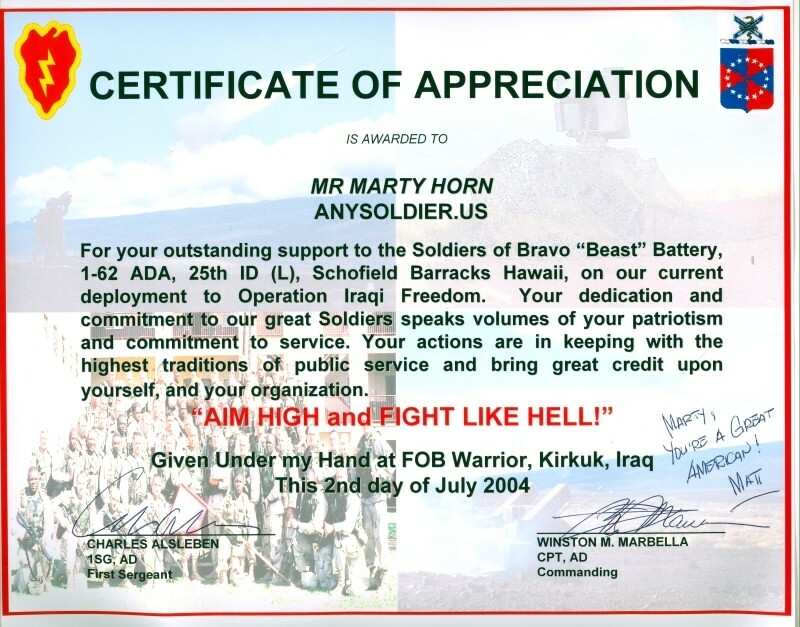 Horn – who has already visited Hungary few years ago when attending a parachute manoeuvre – and his almost 1,000-head-parachute force were dropped near to Kirkuk, the Northern part of the Arabesque country at the beginning of the Iraqi war. 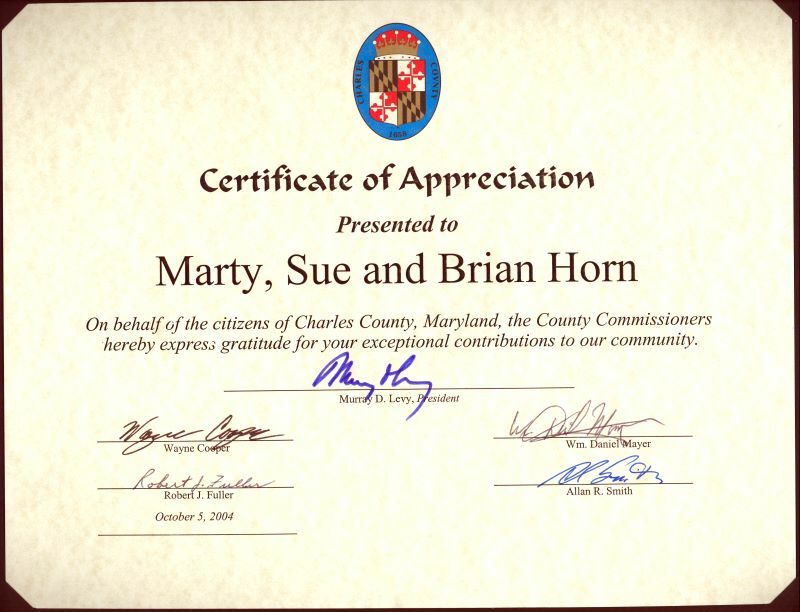 Marty Horn asked first his friends and neighbours in Maryland for compiling packages. Then came the web site, that has been proven to be very successful: while at the beginnings they had only 9 contacts in the Army, today this number exceeds 900. Some 43,000 soldiers are getting packages through these contacts. Around Christmas the different candies are the most popular, but the 220V transformer is always needed, as the – even if it sounds very bizarre if talking about presents – vermicides and rat exterminators as well." 12 November: "Link Of The Week", MichaelMoore.com. No, he is NOT trying to turn us into a political statement. 12 November: "Tri-state Company Fulfills Troops Wish For Chocolate", WCPO-9 News, Cincinnati. 12 November: "Adopt an Afghanistan Daycare", KARE11 News featured link, Minneapolis. 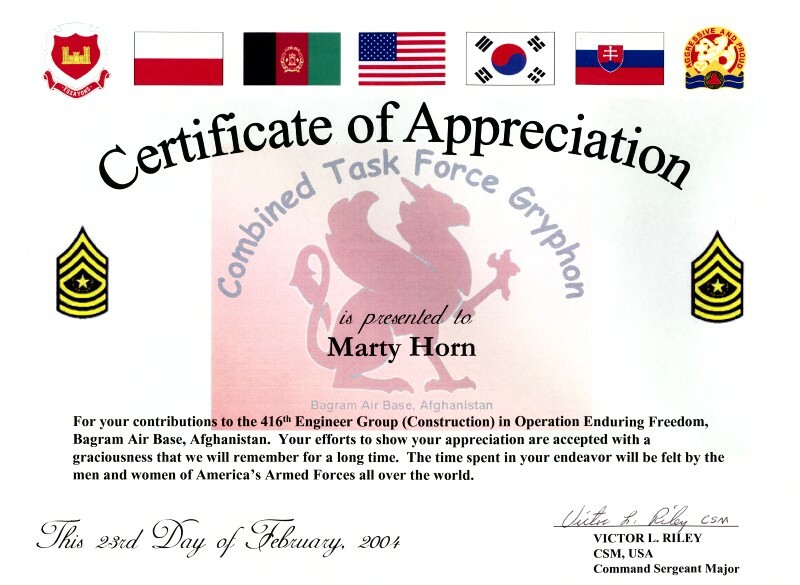 11 November: "Contacting Troops With AnySoldier.com", KXAN-TV 36 Austin, Texas. 11 November: "Public's support of troops trumps military mail policy", Gazette.Net, by K Kaufmann, Capital News Service. 08 November: Our thanks to WTOP Radio for their air time in the D.C. area about AnySoldier.com! 03 November: APP.COM, "APP.COM - Comedy: Make 'em laugh"
26 October: "Web Site Keeps Soldiers at Arms Length", WLTX-TV Columbia, SC. 19 October: "When yellow ribbons aren't enough", The Baltimore Guide Online. 18 October: FOX TV News (Video here). 19 August: "Any Soldier Inc. shows support for deployed troops", The Dolphin, Connecticut. 27 July: Radio station MIX985, Boston, interviewed us on the "John Lander in the Morning" show. The folks on the show; Kelly Malone, Neal White, Mike Ellis, Amy Doyle, Wendy Filosi, and of course, John Lander were extremely supportive of Any Soldier Inc. We appreciate them giving us air time and really enjoyed talking to them. Thanks to supporter "Mike" for making this happen! An MP3 copy of the interview will be posted here soon. 16 July: USA Today Hot Sites here. 14 July: DefenseLink (Armed Forces Information Service) article, 2004 here. Any Soldier Inc. supporter and songwriter, Sharon Longworth, wrote The Battle of Tora Bora (a parody of The Battle of New Orleans)© when the soldier in her life was deployed to Afghanistan. She's offered to share this song with all troops and those who support the efforts of our military and the great USA. You can listen to the MP3 copy here. More of Sharon's work is here. Any Soldier Inc. supporters, songwriters and musicians, "The Shy" is a Detroit-based acoustic rock trio featuring Larry Decker, lead vocals, acoustic and electric guitars, and piano; Mike Sackey, drums and backing vocals; and Bob Livernois, bass guitar and backing vocals. In July 2004, The Shy released a tribute CD in honor of all people who have ever served our country in the military. The two song CD featuring "Thank You Jo(e)" and "Get Through Another Day" has been met with rave reviews across the country and is available for free to any U.S. Serviceman or U.S. Servicewoman who is currently serving or has served our country. You can listen to a short MP3 clip of their song, "Thank You Jo(e)" here. The Shy's web site is here. John Hancock of WBT Radio in Charlotte, NC! Hear the shows he did! Jim Newman of News 14 Carolina TV. The Ron&Don Morning Show of Radio KLQ, Grand Rapids. FOX TV News (Video here and 18 October 2004 here). ARD German TV (Video here or here). Piedmont Flag Company Private Eyes Investigations, Gastonia, NC. Sovereign Bank New England American Fitness Professionals & Assoc. Leader-Telegram Online, WI Trustworthy Realty, L.L.C. Tesla For The Troops KOMU News, Columbia, MO. A large number of forums and many, many others who support this effort!!! Most appreciated are the thousands of people who actually sent something showing support for their soldiers!